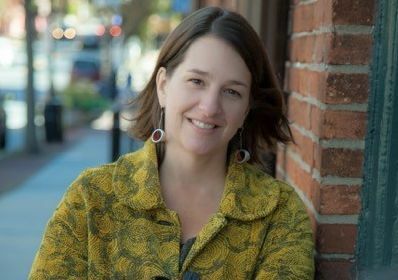 Jessica King is executive director of Assets, an organization that seeks to create economic opportunity and cultivate entrepreneurial leadership in order to alleviate poverty and build vibrant, sustainable communities. Average growth of the U.S. gross domestic product in recent years has been 1 percent to 3 percent. Our glory days were more like 4 percent to 6 percent. Our economy — the vitality of our communities — depends on growth. Some climate research clearly shows that the world cannot sustain current levels of consumption and waste. An average American uses 35 times the resources as an average Indian and 53 times more than someone from China. The U.S. has less than 5 percent of the world population but uses 25 percent of its oil and 23 percent of its coal. If everyone lived like we did, it would take five Earths to sustain us, according to research by the Sierra Club recently published in the Scientific American. With these natural limits in mind, we’ve been asking ourselves if the work we’re doing at Assets to help create greater economic opportunity for low-income individuals is simply just helping to create more capacity for consumption that our planet can’t sustain. Our hierarchy of needs in the short term means that income for those living in poverty trumps the impact on our collective ecology. This social and economic impact also has been our priority at Assets. But in the longer term — perhaps even sooner — realities of current environmental degradation will be a game changer for 21st-century capitalism with increased volatility, resource scarcity and accounting for externalized costs for things such as carbon emissions. For Assets, examining and improving the social and environmental impact of business on the natural world has driven our interest in social enterprise and support for businesses seeking to improve their ‘triple bottom lines’ of people, planet and profit. Many participants in our recent Great Social Enterprise Pitch, including the first-place winner, incorporated not just a financial bottom line, but social and environmental bottom lines, as well. Evidence shows that this is good business: companies that measure and manage their social and environmental impact are more resilient, more profitable and can better attract and retain talent. For business and economic development groups, a well-rounded approach means encouraging investments in innovation and assets for the common good in a country where we have more shopping malls than high schools. This could look like accessible health care, renewable energy, education of all kinds, especially science, technology, engineering and math. It also could include libraries, local markets, green spaces, agriculture with minimal inputs, the sharing economy and efficient — even regenerative — building modalities. The good news is that smart, dedicated people have been working on this for some time and are making progress. I recently was at a retreat center in New York’s Hudson Valley that built the country’s first ‘living building’ just 10 years ago. The building cleans the center’s up to 52,000 gallons of daily waste water, including raw sewage, with a series of pools, microscopic algae, fungi, bacteria, plants and snails that digest the waste, clean the water and discharge it back into the aquifer cleaner from which it came, using no chemicals, powered entirely by solar energy. They estimate that they could build the center today for 25 percent of the original cost because of innovations and efficiencies. The cost to operate it is virtually nothing. Internationally, Germany has tripled its renewable electricity production in a decade from 9 percent to 27 percent and has a goal to shut down its nuclear power plants by 2022 and its coal sourcing soon after. Denmark has a plan to become to 100 percent renewable by 2050. The U.S., meanwhile, has about 13 percent in renewable electricity sources. These kind of innovations create excellent jobs and sustainable, economic growth. To be prosperous can be defined as being successful or thriving, often equated with financial gain. But our world cannot sustain the American version of prosperity. Whether or not we realize it, we need to prepare for changes in what prosperity looks like and how we get there. According to the University of California Berkeley, after basic food, shelter and safety needs are met, true prosperity or thriving comes from connection to others, awe of the natural world or something greater than ourselves, connection to our own purpose and generosity. These don’t tend to yield a financial return. In fact, most are free. We can be prosperous without traditional economic growth, but we need to build new business models, new consumption patterns and a deeper awareness about what prosperity really looks like.